Like The Ladybird Books? Click here to view the entire range. 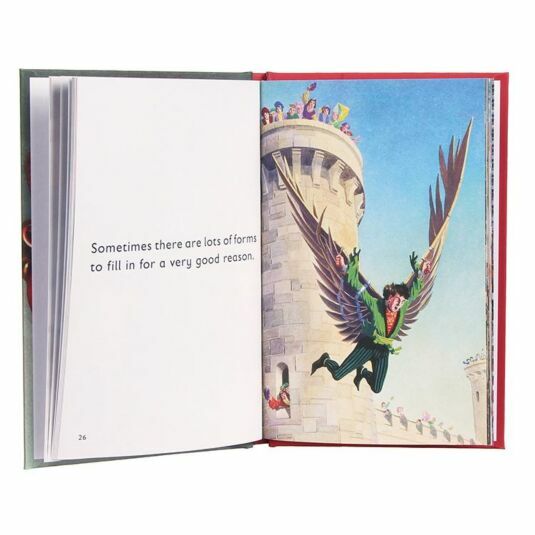 In a stroke of publishing genius, original Ladybird illustrations including images from such childhood classics as the Peter and Jane reading series have been recycled and reused to illustrate this highly amusing book. Many who grew up with the Peter and Jane books books will fondly remember the sunny, clean and pleasant world portrayed in the illustrations from their own childhood reading lessons. 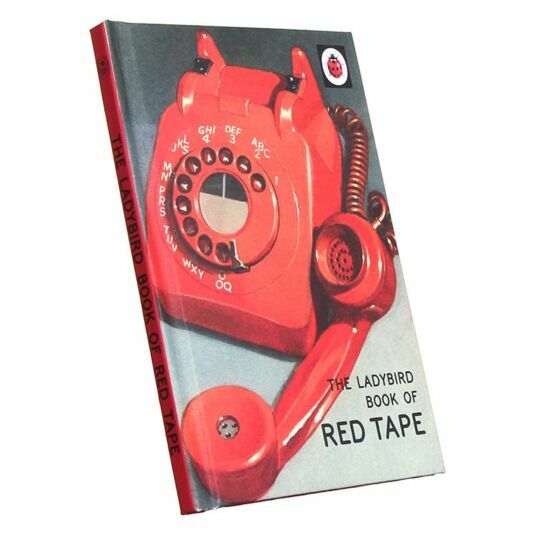 The simplistic style of the original books, which were largely published in the 1960’s and 1970’s, perfectly suits the tongue-in-cheek humour of this book, which features a bright red rotary dial telephone on the front cover. Red tape of all kinds binds us in modern life, from parking permits to building regulations and even the writing of children’s thank you cards for gifts is satirised, accompanied by even more ludicrous illustrations! Anyone with a sense of humour, will be amused by this book, which makes a great Christmas stocking filler or birthday gift for anyone, especially those frustrated by the complexities of modern life! 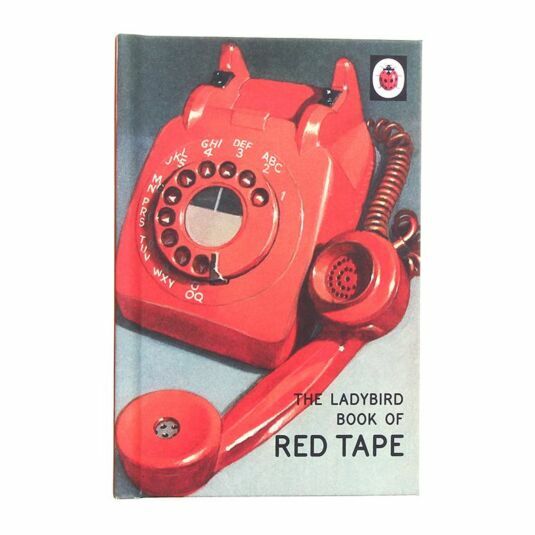 This book contains 54 pages of text and illustrations by the original Ladybird artists.